I have a friend in Ohio who can be pretty vocal about politics through social media. He always cuts to the chase and uses direct language of a style I suspect many of his fellow army veterans would identify with. The same social media my friend uses has given inhabitants of our shrinking world who do not reside or, crucially, have the vote in the United States a licence to comment on American domestic political matters, especially in the Trump era. It doesn’t sit well with me. I told my friend I would never join in his political debates. Regardless of my viewpoint the thing really isn’t any of my business. My friend has never offered an opinion on Brexit. I mention this because even though decades have passed since the events in this powerful book I am unsure how to construct a review that doesn’t cross the line I set with my mate’s Facebook utterances. The simple fact is I can’t just stay quiet in this instance. It is fair to say the war led to a fissure between the government, the military and great swathes of the American public. There was an erosion of trust that has never entirely healed. 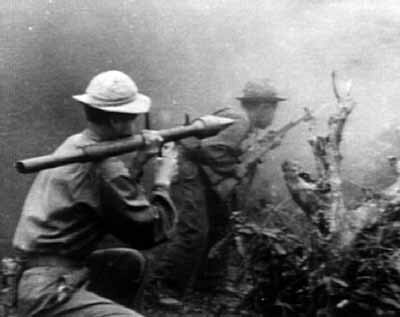 The process that saw the United States become embroiled in Vietnam is a labyrinth that needs exploring and explaining but the fact is however much it would help to have this done in the simplest of terms, the machinations and intrigue are so enmeshed it appears to be almost impossible. Therefore this beautifully written book is not always an easy read because the saga is so depressing, but the story has been untangled by a skilful historian who has laid it out in a way that makes the madness relatively easy to follow. I found I engaged with the story very quickly and once I’d bought in it was impossible to put the book down. 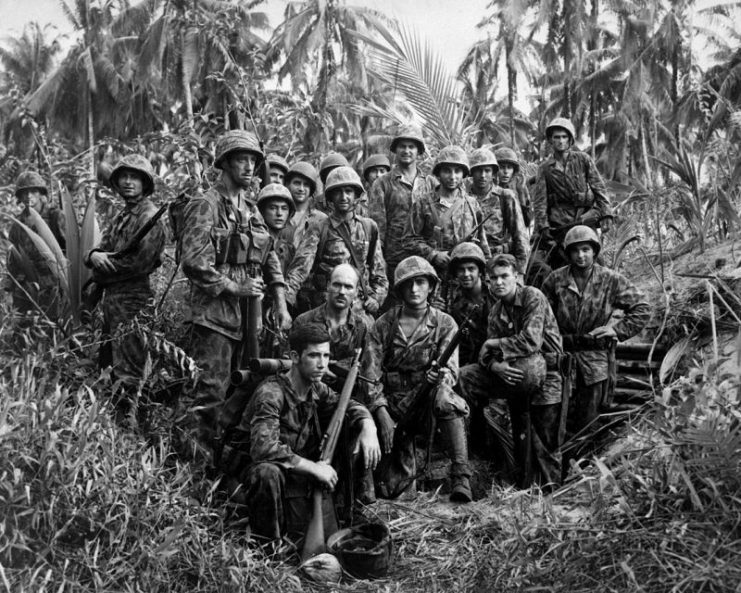 U.S. Marine Raiders as jungle fighters during Vietnam War. 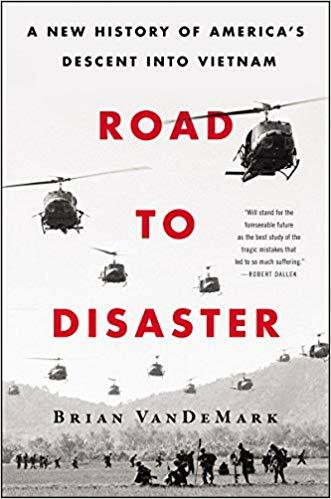 The strength of this book is the way Mr VanDeMark seeks to contextualise the decision making of the Kennedy and Johnson administrations by placing their folly over Vietnam against the background of the Bay of Pigs and the Cuban Missile Crisis. I was born in 1959 so those events are way beyond my memory. While the Vietnam War was regularly featured on British television news it did not affect my life in any way. 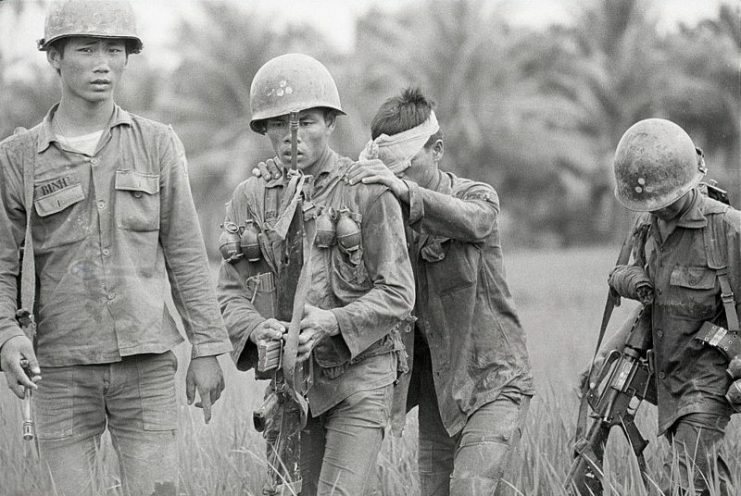 Vietnam was a far off place and my only real encounter with the war came when I witnessed a violent anti-war demonstration in West Berlin when I was nine years old. While in Amsterdam I saw a protest outside a cinema showing John Wayne’s The Green Berets movie. That was ‘my’ Vietnam. The war is, inevitably, the stuff of movies, books and photographs in my experience. The younger me read Dispatches and Chickenhawk and I saw The Deer Hunter and Apocalypse Now in North London cinemas. The older me found more books and movies and I’ve spent time photographing dedicated living history groups here in England who can even summon a pair of M113s to make their depictions appear more intense. But none of this prepared me for this book. 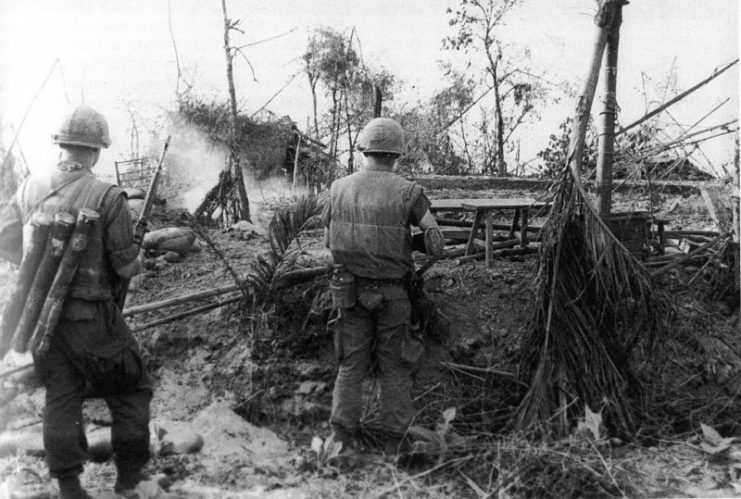 U.S. Marines move through the ruins of the hamlet of Dai Do after several days of intense fighting. The author takes us through the at times tortuous process of decision-making, self-justification and hubris of the leading actors. He attempts to sidestep hindsight by sticking to the diary of events and he succeeds in this by allowing the same lead actors to reflect on their decisions at different stages in the tragedy. The fateful decision to widen the war was approved by a Cabinet and the Joint Chiefs governed by their experiences dating back to World War II and some times beyond it. If they didn’t believe they were infallible, Johnson, McNamara and their closest aides were certainly convinced that the war was good for the United States. It is essential to understand the climate of a time when fear and loathing of Communism was pronounced across much of the United States. The so-called Domino Effect and the potential loss of all South-east Asia to left wing dictatorship simply could not be allowed to happen. 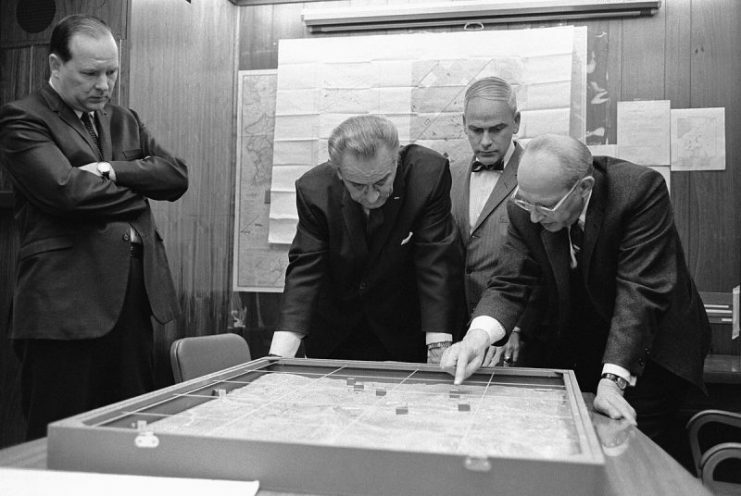 This made Vietnam a line in the sand for the Johnson administration, but the president would be persuaded to push events over a precipice by allowing bombing and an ever-expanding role for ground troops to expand military operations beyond the use of military advisors and the supply of weapons and equipment. Once they were in up to their necks getting out again was going to be incredibly difficult. But first Johnson and his Cabinet would need to appreciate the terrible mess they had got themselves in to. There followed a seesaw of emotions as Johnson and McNamara vacillated over courses of action beset by lobbying generals and hawkish politicos determined to increase the war effort. Mr VanDeMark uses a sequence of devices to explain the actions of politicians, diplomats and senior military men. He sets their decisions and assessments against a number of experiments and tests carried out by leading behavioural scientists and psychoanalysts that show how flawed thinking and assumptions can exacerbate situations. This might seem a tad patronising before you read the book, but the effect is to build a wider understanding of how the politicised mind works. As an aside I would suggest that the chairmen of large corporations and many a senior manager or executive read this book before they launch new schemes and initiatives. I’ve worked under managers who frame questions to get the answers they want and expect rather than the answers they need. A similar thing happened with Vietnam and the lessons of it were never fully appreciated because short-termism always dominated the choice of goals. The people in Britain and United States who took our countries to war in Iraq and Afghanistan could definitely have benefited from the wisdom on offer here. It should become required reading. Perhaps the most important thing this wonderful book does is separate the competing forces and arguments embroiling the White House and the Pentagon throughout the war. I feel some sympathy for Johnson who seems such a fragile creature bound up in his conviction for making life better for the working class and minorities in the wake of his teaching career and exposure to the promise of the New Deal. He was a champion of Civil Rights but his vision of the Great Society was handcuffed to Vietnam because he needed to go in hard prosecuting the war to secure support for legislation promoting reforms of healthcare, education and other important facets of life impacting on millions of Americans. He was forever going up and down the same stairs in his own MC Escher drawing. The sad fact is all the good things Johnson achieved domestically were undone by his mistakes dealing with Vietnam. The same applies to Robert S McNamara, an immensely talented individual who was consumed by what is widely seen as his war. The author knows him well and it is difficult not to feel a little sympathy for a man who tied himself up in knots rationalising his disastrous actions when the penny finally dropped that the war needed to end. The author does not ignore the Vietnamese leadership on both sides. I suppose I was not alone in realising there were divisions in Hanoi over how to prosecute the war or that an aging Ho Chi Minh had been marginalised by hardliners to become little more than a figurehead. The southern leadership were as inept as they were corrupt and I have nothing good to say in support of an avaricious bunch of kleptocrats who took the opportunity to grow rich and secure on the back of American blood and treasure. I found it interesting learning how the Americans singularly failed to appreciate the Vietnamese psyche and had learned nothing from their history of fighting to rid themselves of the Chinese and the French. But let’s not get too smug about being wise after the event: The meat of this book is getting to grips with how least worst outcomes, untold destruction and attrition became acceptable to politicians and senior military men who vied to control the reality of their war while the runaway train hurtled towards oblivion. This book is not entitled Road to Disaster for nothing. Eye-watering statistics are the final thing to consider. The billions of dollars spent, the many tons of bombs dropped or the fifty-eight thousand American dead and the tens of thousands more who suffered injuries physical and psychological. There were a million or more Vietnamese who died and their own nation of orphans, disabled and poisoned victims left in the aftermath. There is that quote about the destruction of Bến Tre – “It became necessary to bomb the town in order to save it” that sums the whole sorry mess up. Think of the knock-on effect of the conflict and all it brought to Laos and Cambodia. You could even listen to Redgum’s I was Only 19 to remember the war engulfed Australians, too, among others. There are some brilliant books on the tragedy of Indo-China to choose from whether you prefer Graham Greene, Hal Moore or Fredrik Logevall. You may prefer the work of Don McCullin or have been wise enough to get the fantastic compendium of photographs from the Associated Press. The esteemed historian and war correspondent Max Hastings has joined the fray and his new book about Vietnam is on my to do pile. But if it is the tangled web of the politics that calls you more than the war of the jungle then this book will tick all the boxes. I found the mess the politicians and generals made for themselves to be mindboggling. That they didn’t understand even the basic thinking and traditions of the Vietnamese was unfortunate, that they neither realised or cared was criminal. Coverage of the disastrous impact of the war on American society could fill libraries. 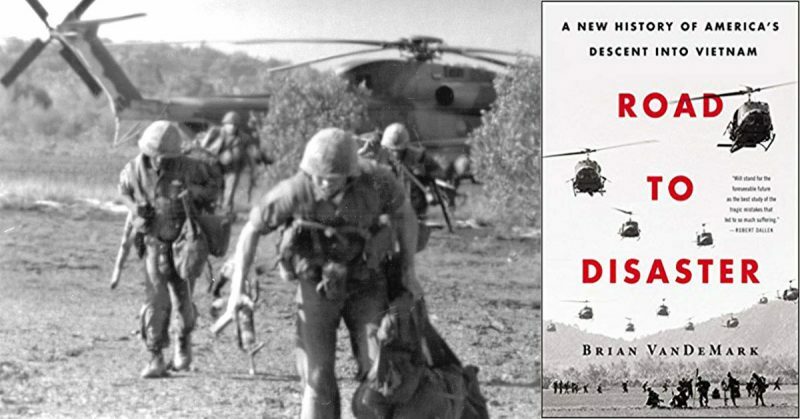 Iraq and Afghanistan made it glaringly obvious that the descendants of Johnson and McNamara in Washington and London (and even Moscow in 1980) appeared to have learned little from the folly of Vietnam. Mr. VanDeMark quotes Machiavelli with devastating effect: “Wars begin when you will, but they do not end when you please.” It’s a maxim anyone seeking high office should remember, but don’t you just know that they won’t.